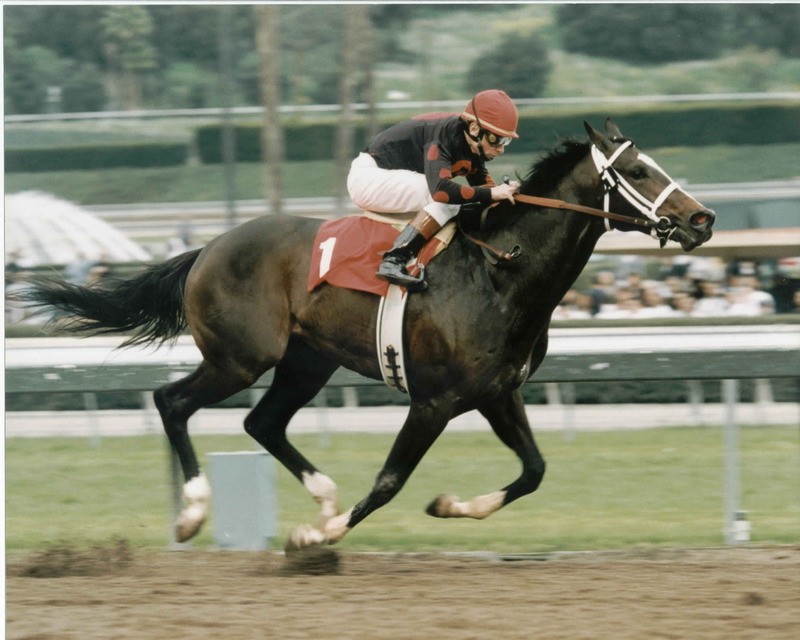 Bred by Carondelet Farm, His career on the racetrack was quite simply, phenomenal. ARTAX equalled or broke records set by history’s greatest Thoroughbred sprinters including Dr. Fager, Mr. Prospector and Groovy. His multiple-graded stakes winning record includes a tally in the Gr1 Breeders’ Cup Sprint, as well as the Gr1 Vosburgh S., Gr1 Carter H., Gr1 Forest Hills H., Gr2 San Felipe S. and Gr3 Santa Catalina S.
While racing ARTAX earned more than $1.6 Million. From six crops to race, ARTAX’s progeny have bankrolled well over $11 Million. Leading the way is millionaire DIABOLICAL ($1,173,800), winner of the Alfred Vanderbilt H (Gr2), Maryland Sprint Handicap (Gr3) and the Green Desert Mahad Al Ashimaal (UAE-Gr3), etc. Other ARTAX runners of note are Gr1 Winner FRIENDLY MICHELLE ($404,544), FINE SENTENCE ($373,091), MAGNETIC MISS ($356,280) and TAX REFUND ($317,782). ARTAX is a son of Marquetry and the Apalachee mare Raging Apalachee. He’s from the same female family as millionaire TOUT CHARMANT and CHARMONNIER ($556k). Marquetry sired another Breeders’ Cup Sprint winner and Sprint champion, SQUIRTLE SQUIRT. Other graded stakes winners by Marquetry include AMERICAN FREEDOM, MASS MARKET and UANME. Artax passed away in Brazil at age 14.